If your privacy has been invaded by someone spying on you using electrical bugging devices, you need to find a private investigator with experience in this area. However, not all TSCM UK wide are equal to the task. Read on to ensure that the company you choose is right for the job at hand. Companies who specialise in technical surveillance counter measures vary widely in their experience, expertise, and specific speciality areas. It is important if you need to access counter surveillance services that you find a company that specialises in your specific case. When you search for a company, look carefully at the areas they cover. Also, check the testimonials, if there are any, on their website. As well as giving you an indication of the type of TSCM service they offer, they will give you an idea of how their previous clients felt about the level of service they provided. As well as this, you need to enquire about aspects such as their approach to the confidentiality of your case, and how they will ensure that as few people as possible are aware of your situation. Look for a company that has multiple offices or has an office close to where you need the service. This will enable them to get to you quickly, minimising the amount of time that you and your private information are at risk. It is also a good idea to look into the post sweep service that they offer. Question whether they will remove the bugs, and what support you will receive in either tracing them back to their source or in working with the appropriate agencies, such as the police and legal representatives. Choosing Advanced Sweeping means knowing that you have access to TSCM UK based and worldwide. We work through the whole process quickly and only employ experienced operatives. 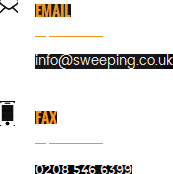 Use the contact page on our website http://sweeping.co.uk/ to outline your needs and one of our team will get back to you.